The number of business ideas for women are plenty. You can even start a small scale manufacturing business. Therefore, you can select a business that best suits your finances, time and education. Regardless whether you are single or have entered marriage, single mom or widow, have special needs or active, you can succeed at business. We present 10 great entrepreneurship ideas for women around the world. Before embarking on a venture, check local laws and regulations. This helps give legitimacy to your business and ensures maximum profit. We all have witnessed the exponential growth of internet & online shopping in India during the last 5 years. There is a boom for online businesses all over the world. We have already written about number of online business ideas here. Just click the link & check all the excellent ideas. Being single offers flexibility to choose your own time and place. Thus, you can consider these two options for business and get rich soon. All single women want to appear fit and trim. However, most do not have time for work-outs at gym. The ancient Indian fitness technique, Yoga, is becoming popular worldwide. You can learn Yoga at any good training center. Once you get the certificates, advertise yourself as a Yoga instructor. Subsequently, you may require some more certifications to qualify as trainer. Yoga trainers teach the art from home or visit the client’s premises. You can make more money selling custom-made Yoga mats, bricks, belts and other paraphernalia. Herbal beauty products and cosmetics are in great demand nowadays. You can develop your own formulas with fruits, herbs, spices and natural products. We recommend you launch your own perfumery. It is easy and inexpensive. You can give your fragrances a distinct brand. Blending fragrant oils and concentrates is easy. It can be done at home with some basic equipment and measures. Learn a few tricks from your nearest perfumer and you are all set to compete with Chanel and Estee Lauder. Nobody will doubt that being single mom is tough. Nevertheless, it need not deter you from entering business. A lot of single mothers are successful entrepreneurs today. Apparently, they know proper time management and utilize it to the maximum. You can do this yourself. Alternatively, you can enlist help of some trustworthy friends. Senior citizens often require someone to take care of them. Sometimes, they just need companions to talk and gossip or help around the home. Consequently, elderly people look for care-givers and daytime companions. Advertise your services in the local community. If you have creative skills, put them to use from home. A good computer and appropriate software will suffice this purpose. Businesses small and large require graphic designers to make their logos and motley other stuff. They also need large volumes of stationery for internal consumption and customers. Tie-up with a local printer and finalize rates. Graphic designing with printing is great income earner for single moms. Physical disability does not prevent anyone from launching business. In fact, it paves way to get rich and live a superior quality life. Regardless of the nature of disability, here are two great businesses that specially enabled women can enter. This means, you market products for a company under your brand. The original manufacturer remains hidden from clients. Further, it presents the opportunity to reinforce your own identity. Nowadays, many reputable companies offer their surplus products for associate marketers at cheap rate. It helps them dispose stocks and get money faster. It does not mean you buy ghosts. In fact, it means you represent some high spender to buy stuff on their behalf. Here, you get two advantages. You make a good commission acting as ghost shopper. Secondly, you are rewarded by the store- online or physical- for your continuing loyalty. Women with special needs are usually allowed check-outs through fast-track counters. Wheel chair assistance is available at all reputed retailers. Thousands of women, who lose husbands, run into financial doldrums. Ordinarily, this should never occur since a hubby will be heavily insured. Often, debts eat into insurance payout and other assets. The Internet presents ample business ideas for widow women to become entrepreneurs. Undoubtedly, the world is getting competitive. More graduates pass from university every year. Yet, fewer opportunities exist for these youngsters. In such scenario, who gets a job is decided partly by the resume a fresh graduate sends in. However, most of them do not have necessary skills to write a resume, CV or bio-data. 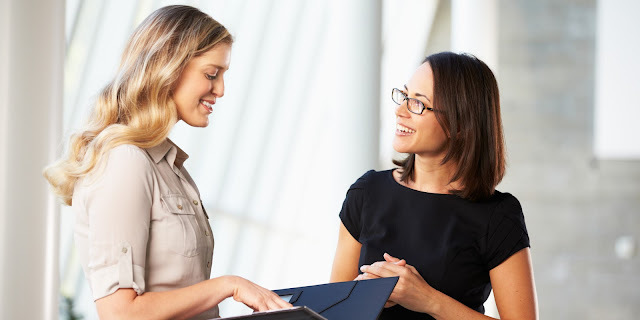 Women with excellent language skills can open an online or on-site CV and resume writing service. Book keepers are always in demand from small and large businesses. They keep accurate records of a company’s finances. Therefore, women who have great mathematical and accounting skills can enter book keeping business. You can offer online or on-site book keeping and accountancy services. In fact, the money you earn from this service will pleasantly amaze you. Obviously, an illiterate woman will not read this article. However, if you know an illiterate woman who wants to launch an enterprise, here are two business ideas for such women. Making rosaries, prayer beads and various types of necklaces does not depend upon literacy. Yet, these skills are in high demand. In fact, handmade rosaries, prayer beads and necklaces are in great demand worldwide. Understandably, hand crafting or products ensures they relatively free from defects. The money she earns can be used to invest in financial products that earn good returns. Once again, these skills are highly in demand for making special dresses and furnishings. You can suggest these to any women illiterate woman. She can advertize her services at community centers, religious places, schools and clubs. Moreover, embroidery and knitwear is in demand all round the year. Hence, it assures the woman of steady income for meeting routine expenses and investing. Admittedly, there are some gray areas when it comes to financing women entrepreneurs. However, banks and financial institutions are more than willing nowadays to micro-finance women. If you do not have enough money for launching own venture, you may approach these lenders. Also, financial empowerment is one of the objectives of the United Nations, International Labor Organization and other global forums. You can invoke these clauses with banks and lenders if the going gets tough. Governments and community organizations also offer finance for select projects by women entrepreneurs.